The first in a new series called FLASHBACK FRIDAY! As we count down the days until SMACC Chicago kicks off (1 month to go!!) we re-visit the most popular posts from the ICN archives. 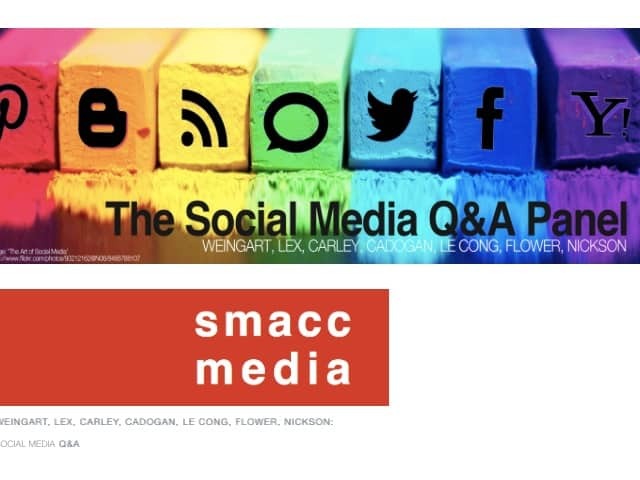 Let’s start BIG with The Social Media Q&A Panel from SMACC 2013. Listen to the best in the business Weingart, Lex, Carley, Cadogan, Le Cong, Flower and Nickson debate the hot topics of 2013 here!